Are you looking for some Healthy Muscle Building Recipes to help you get ripped, or maybe you want to pack on some more muscle and mass? 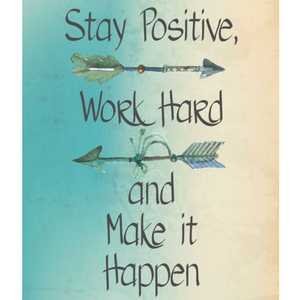 In either case you have come to the right place! No matter what your goals are, if it involves your muscle the simple fact is you have got to fuel them properly, providing them with all the right nutrients to promote recovery and lean body mass. The old way of thinking is that you have to sacrifice flavor and taste to eat healthy and build muscle, but that could not be further from the truth! You just need to learn to use the right spices and herbs, allowing you to leave those bland and boring diet plans behind. Over the past few years there has been a huge movement to put flavor back into eating healthy and it is time for you get in on it. There is absolutely no reason you can not eat healthy and still enjoy the food you are eating! I am going to give you three great recipes that are both healthy and anabolic by nature, promoting growth and recovery within your muscles. The best part is that the taste so amazing they will have your taste buds dancing! 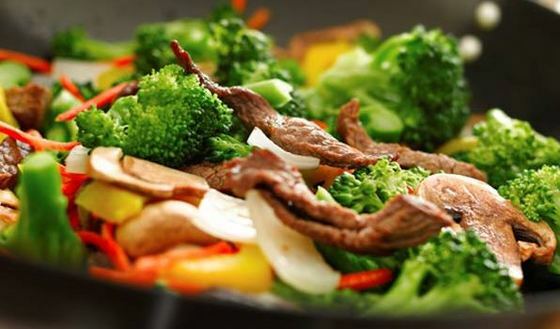 These recipes come from fitness expert Dave Ruel, a competitive Bodybuilder, a professional Fitness Coach and Nutritionist. Dave is also known as the Muscle Cook and the creator of the Anabolic Cooking Cookbook. I have also thrown in some of my own tips that might help you enjoy these recipes even more, and with that it is time to head to the kitchen and get the ole stove fired up! Not only does Dave knock this one out of the park, it is packing more than 40 grams of protein, making it a true Protein Powerhouse! Heat the olive oil over medium heat and saute the onions for 2 or 3 minutes cooking evenly. Combine all of the ingredients into a large bowl, including the sauteed onions, and mix thoroughly . 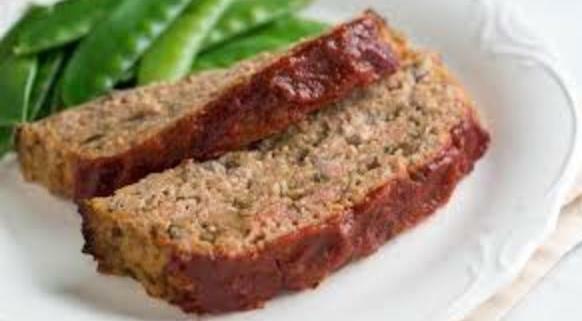 Carefully remove meatloaf from oven and let stand for 5 minutes to cool, cut into six portions, serve and enjoy! I like to make Mashed Cauliflower (it’s like mashed potatoes but healthier) to go with this one, use one head of cauliflower, broken into florets, be sure to chop the stem portion finely. Boil for 12 minutes or until tender, drain completely, the drier the better. Now add 1 tablespoon of butter, 3 tablespoons of skim milk, 2 tablespoons light sour cream, 1/4 teaspoon garlic salt, and a pinch of black pepper. Using a masher, mash the blend together until it looks like mashed potatoes. Here is another protein powerhouse that will help you pack on the muscle, or shred the muscle you already have! Not to worry this recipe is not overly hot, but you can substitute your favorite hot pepper in place of the green peppers and crank it up to any level you wish to. Heat a large skillet until hot, reduce to medium heat. Add the Buffalo/Beef, green pepper, onions,and garlic and saute for 5-6 minutes cooking meat about half way. Transfer the Buffalo/Beef mixture into a large kettle. Add chili powder, turmeric, oregano, beans, tomatoes, broth, and salt and pepper, mix everything together thoroughly. Bring to a full boil and the reduce heat and cover. Simmer for 20 minutes, or until desired thickness, stirring often. Well I really don’t have a tip here, I like it all by itself! I suggest that which ever way it might be that you already enjoy your chili, do that! How can we talk protein if we don’t include some fish? This recipe will work well for any flaky white fish so don’t be afraid to use your favorite catch for this recipe! Combine the olive oil, lime zest, both lime and orange juices, chill sauce, and salt and pepper into medium mixing bowl and mix well. Place your fish fillet’s into bowl with mixture and coat each filet evenly. Bake 10 to 12 minutes at 400 degrees F or until the fish flakes easily with a fork. I like to have this either with a nice helping of low mayo coleslaw, or atop of a fresh garden salad with a lite citrus vinaigrette dressing to finish it off! Well there you have it folks, three of the best muscle building and healthy recipes you will find anywhere. Dave has used his knowledge as a trainer and as a nutritionist to compile over 200 muscle blasting recipes just like these! If you would like to learn more about Dave’s cookbook I would like to invite you to check out my full review of the Anabolic Cooking Cookbook, it is packed with tons of great recipes and muscle building tips to help you along in your pursuits. Should you have any questions, or if you just want to leave us a comment, feel free to do so in the comment area below. If you would like to receive more articles and recipes like this one, you are welcome to join the MyBodyMyMind.net Email Club. You will get our latest articles and updates delivered right to your inbox for your convenience! Here are three great protein packed muscle building recipes for you to try! Next Post Next post: Zen 12 Meditation Review – 12 Minute Mindset! Great job on the post. I am definitely going to try the Muscle Cook’s Chili sauce haha. I LOVE SPICY FOODS and I don’t mind to add extra chilies to make it even spicier. Awesome job! Thank you Brendon! 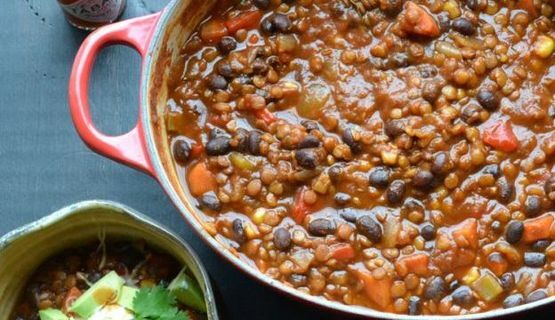 You are going to love this chili! Dipping chicken into it sounds pretty good, I had not thought of that, but now I must try it! LOL. Let me know what you think Kenny, I always appreciate feed back. Thanks for the visit, see you soon! I was also a bodybuilder in adolescence, but as the years passed I lost muscle mass and gained fat on my abdomen. Even if I do not return to the shape I had, I’m sure more attention to nutrition and diet will help me. Thanks a lot for the recipes you posted here. I like spicy food, so I’ll try “The Muscle Cook’s Chili”. Do you intend to continue posting other recipes or similar books? I suggest you do it, because they are useful. I think most have been where you are Basil, it is easy to get side tracked by life a s you get older. Family, work,kids,and the bills all put a strain on our lives, taking away the motivation and time needed to train. With the fast paced world we live in, it can be hard just to find the time to cook, and you can forget healthy! Basil if you are interested in more recipe ideas visit our recipe page by clicking here, you are also welcome to join our email Club where you can get all future article delivered right to your inbox. Get signed up today, as we are always adding new and valuable content each week. Yes my friend we will be adding many more recipes and a variety of cookbooks as we grow and expand, I hope to see you back here to check them out!